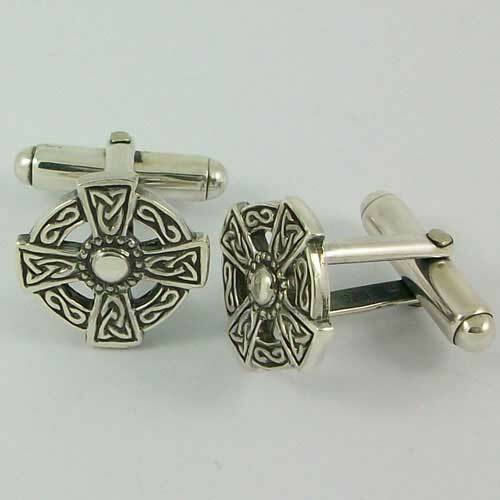 Celtic cross silver cufflinks, designed by Hebridean Jewellery. Hallmarked sterling silver, supplied with a presentation box. What a fabulous service - ordered 10am yesterday and were delivered 8.00am today! Very pleased with the purchase lovely design and nice neat size. Will be very pleased to order from you again - I have my eye on your lovely wedding rings for my 30th wedding anniversary next year - a bit of hinting to my husband should do the trick! Again thank you very much for the excellent service.